T. Lux Feininger: Photographs of the Twenties and Thirties, Prakapas Gallery, New York, 1980, no. 37. 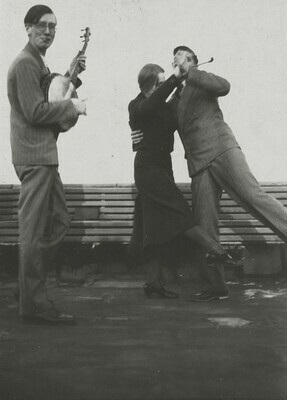 T. Lux Feininger: Photographs of the Twenties and Thirties. Exh. cat. Prakapas Gallery. New York, 1980: no. 37, as Dancing Couple.